Haim Saban is in the news right now because of millions donated to the Clinton Foundation in his name and his support of the Hillary Clinton presidential campaign, but if that name looks familiar to you it's probably because of something much more important than presidential politics: Children's television from the 80s and 90s. That's right, billionaire businessman Haim Saban is the "Saban" in Saban Entertainment, the production company behind, most notably, Mighty Morphin Power Rangers, but other children's action-adventure shows re-purposed from old Japanese TV shows as well, such as Masked Rider, VR Troopers and Big Bad Beetleborgs. Before launching Saban Entertainment, Haim Saban wasn't exactly a likely choice to eventually become a billionaire, growing up in a one room Tel Aviv apartment with his seamstress mother and office supply salesman father, and never getting around to going to college. But he managed to build up one of the most commercially successful entertainment brands of the 20th century, and in addition, become heavily involved in the Fox Family Channel along with the News Corportation. The sale of that channel to The Walt Disney Company back in 2001 was another big windfall for Saban, who netted an estimated $1.6 billion in the process – not a small sum under any circumstances, but especially impressive when you consider that it represents almost half of his current estimated net worth of $3.4 billion. Fans (or former fans) of 80s/90s kids' TV will be pleased to know that Mighty Morphin Power Rangers isn't Haim Saban's only claim to fame. Along with his partner Shuki Levy, Saban produced the soundtracks for an unbelievable range of TV shows, including fare like Inspector Gadget and He-Man and the Masters of the Universe. Clearly, if you enjoyed watching TV in the late 80s or early 90s, there's a good chance that some of your parents' money ended up in Haim Saban's bank account. And if you're completely honest with yourself, you'll probably come to the conclusion that he deserves every penny. His Saban Capital Group also successfully acquired Spanish language television network Univision back in 2006, a property that was purchased to the tune of $13.7 billion, and which Saban chairs to this day. Robots, superheroes, and Spanish language television are really only a small corner of Haim Saban's interests, however. As we mentioned, he's also a strong political force, with much of his resources and clout going towards the cause that he has described as defending Israel through political donations, think tanks and media control (although there is no evidence to suggest that there were any pro-Israel messages hidden in episodes of Power Rangers). Saban's pro-Israel streak is also the backbone of his philanthropic endeavors, making the claim in an interview "I'm a one-issue guy, and my issue is Israel." Looking at his philanthropy career, it's hard to dispute that claim – the most notable donation made in this arena is probably the $14 million Saban gave towards the completion of Israel's Soroka Medical Center children's wing, a worthy endeavor regardless of your political alliance. 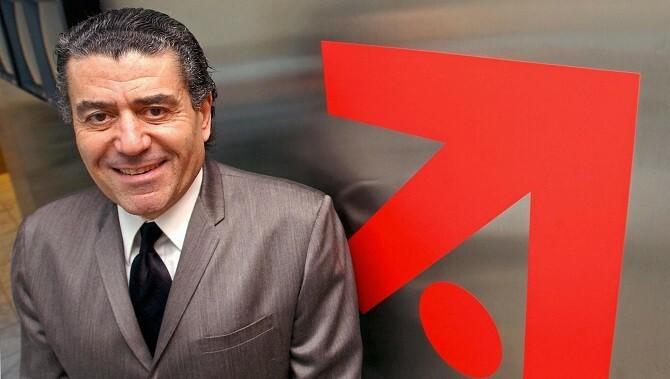 Haim Saban is one of the richest and most powerful people in the entertainment industry. And his entire empire was built off The Mighty Morphin Power Rangers. We're not kidding. This is his amaaaazing story.